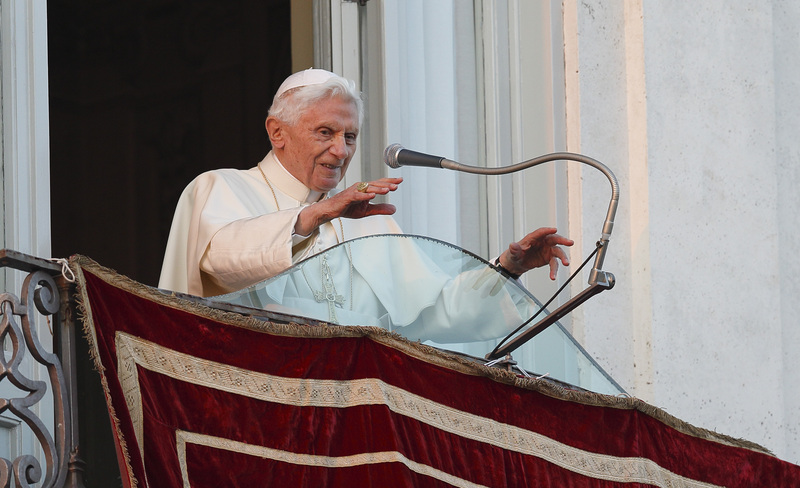 Was Pope Benedict really a 'liberal' turned 'conservative'? Deconstructionists, those intellectuals who make it their job to ask critical questions about our long-cherished collective stories, like to ask, among other things, who or what cause is best served by a given narrative. They might ask, for example, whose interests are served by a story that tells of the triumph of capitalism over the broken promises of collectivism? Answer: the capitalists’ interests, of course. In this way, the deconstructionists see every story as inherently political, with clear winners and losers depending on who is doing the storytelling. This critical method can be useful if not taken too far. It can easily descend into cynicism, leaving us concerned with only the price of events rather than their value, to borrow an idea from Oscar Wilde. But the question, whose interests are served by a given narrative, is one that is worth asking, not least because the stories we tell do inevitably impart the values we hold dear in some fundamental way. It seems to me that the time has come to ask this particular question of a narrative that has proven popular and perduring in the contemporary American church. The story, which I’ve heard told dozens of times, goes something like this: Once there was a very “progressive” German theologian named Joseph Ratzinger. He was a champion of the new theology and a leading reform-minded expert at the Second Vatican Council. In 1968, his university classroom, like colleges everywhere in the West, was convulsed by a student revolution. This destabilizing event, so the story goes, sent Father Ratzinger into the arms of the forces of reaction; and the rest of his life, as archbishop, Vatican prefect and pope has been a long rightward march. One of the ways the future pope did that was by publishing his Introduction to Christianity, which sets forth many of the theological themes he would pursue throughout his journey from professor to pope. It is important to note that this book was based on a series of lectures he gave at least two years prior to the events of 1968. So the protests of that year, though not irrelevant, were hardly a decisive event. There’s a lesson in this. Catholics of every stripe would do well to take a moment to question the stories that inform our actions and judgments. And if we can let go of our cherished myths and ideologies for long enough, we might even create enough space for the Holy Spirit to narrate our story anew. I was looking for a place to congratulate all of you at America and your author contributors for putting together an excellent online issue. I hope this is the appropriate location. Fr. Malone, S.J., Though I normally disagree with what you write, this time I find myself agreeing. Thank you for the Column. I do not understand the author's direct link between deconstructionism and the Cardinal Ratzinger (later, Pope Benedict XVI) "story." The two seem loosely linked to me, but I do see where the author was attempting to go with his argument. Deconstructionism is a system of critical textual analysis derived from Phenomenology. It seeks to unravel that which is thought to be true through the use of context, nuance, and latent, embedded meaning. Per se, it is neither political nor apolitical, depending on the topic being unraveled. Its intention is to interpret (hermeneutic analysis) arguments or, as the author calls them, stories at their weakest points, to offer an alternative meaning of that which has been written. Its purpose is not to destroy, although its analysis may result in destruction of an assertion; rather, it seeks to affirm that which is most evidently true. In my opinion, while this method may be used strictly by intellectuals, it is commonly used less strictly in daily problem-solving. For instance, we hear or read a statement or argument. Then, in order to make meaning out of it, we look at its component parts and determine whether, as a whole, the statement may be true or false. This article also appeared in print, under the headline "Of Many Things," in the September 26, 2016 issue.